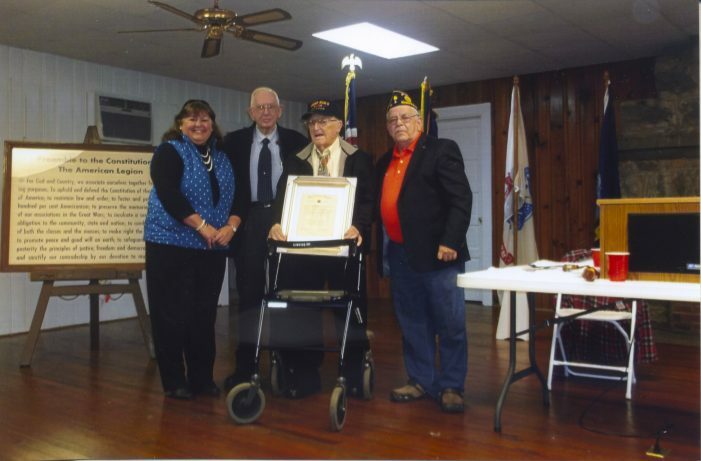 Mr. J. L. Doolittle was presented a certificate for 70 years as a member of the American Legion Post 30, last Thursday, Marche 16, at the regular meeting. Mr. Doolittle will be 99 this year. He told Vernon Holmes, Post Commander, that he hopes to live to be a hundred years old.